Every now and then one of our readers will send in a link to an article that we just have to share. A really special thank you to Brandi from all of us here at ITSG for sending this one through. To Heather over at Backgroundchecks.org, really nice article! So for everyone who wants to get a better understanding of what Social Engineering (S.E) is, go and have a read of the following article. 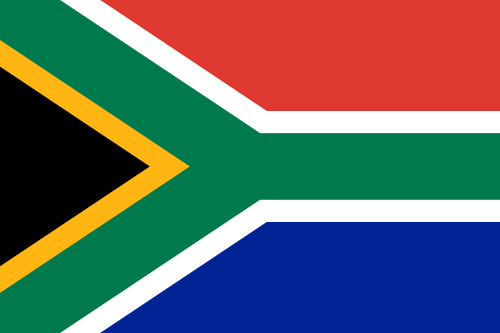 We’re pleased to finally announce that we are now operating in both the UK and South Africa. This has been a long time in the making, and we’re now ready. Our full compliment of services is now available on both continents. Our contact details will remain the same in the interim, however we are in the process of getting a local phone number in South Africa. At present http://www.itsecuritygeeks.co.za is pointing to our main website, if this changes, we will update you here first. Thank you once again to all our clients for making this a reality. So we’ve decided to expand our team at ITSG, the full job specifications can be found on our Careers page here. If you don’t feel that you meet all the requirements, but feel that you’re very close, or have something unique to offer to our team, then please do get in touch. We are looking for both permanent and contract roles. A few of weeks ago, one of the vulnerabilities that we identified was publicly released on Upsploit.com. These vulnerabilities were discovered in our testing environment while playing around with a ZyXel GS1510 ethernet switch. This advisory was publicly released on the 2012-03-14 12:57:15 with an Upsploit reference of UPS-2011-0042. 1. The cookie for the admin user of the switch stored both the admin username password in clear text within the cookie. The payload fe07b</title><script>alert(xss)</ script>b7e71e54af6 was submitted in the name of an arbitrarily supplied request parameter. This input was echoed unmodified in the application’s response, as can be seen below. Congratulations go out to Neil Fryer for identifying and reporting this issue. We would also like to extend out gratitude to the staff at ZyXel and also the guys at Upsploit.com for working with us to get these vulnerabilities patched in a timely manner. This is just another reason why it’s always a good idea to have a penetration test or at the very least a vulnerability assessment conducted on all new devices that will be deployed within your organisations network. If you would like any details on our device security testing or penetration testing services please feel free to contact us. Smart grids are being hailed as a potential solution to the impending energy supply problems the world will face over the coming years. The intent is to intelligently manage use in accordance with supply and alter tariffs to drive healthy usage patterns; Fair enough. It’s clever business welcomed by all, that is if we ignore the obvious high cost of delivery. Accounting and sentiment aside, the real issue we see is the inherent risk in creating a management network such as a smart grid. Many current investigations into the technology, as well as planned deployments tout trendy capabilities. Mobile device compatibility i.e. the ability to control your homes appliances remotely to take advantage of low tariff times. Despite the obvious limitations in the theory, I am somewhat surprised that this is even being thought of anywhere; that is anywhere with an eye on Health and Safety. Random and malicious attacks on grid residents could compromise authentication details in a number of ways and while mischief and damage could result, the same problem exists elsewhere where damage would be so much more significant. In the ever demanding economic climate, many telecommunications operators across the globe have invested significantly in expenditure reduction programs. In one way or another, smart meters are finding themselves part and parcel of a mobile network for this reason. Smart meter solutions get installed with relays for cutting supplies of energy, allowing to switch energy sources or disconnecting of subtended devices such as network equipment. In almost all cases, solutions are scoped in a manner that gives very little consideration to direct attack scenarios. It is a fact most solutions are sold on the basis of cost savings, unified control and management capabilities and not security. If we are learning one thing of late, it is co-ordinated infrastructure attacks are possible and happening as we speak. We are also certain Iranian Nuclear Enrichment facilities are a lot harder to penetrate than your average mobile operator and it was done with impunity and anonymity. It’s not all doom and gloom though, our high value penetration testing team at I.T. Security geeks can help. Contact us for more information. We have recently added a button to the side of our web site for people to click and donate directly via PayPal to the Brad Smith fund, as we can’t imagine what his family must be going through right now. For those readers who don’t know who Brad Smith is, he’s a talented and humorous security professional, who also goes by the online name of the “theNurse”. During Brad’s presentation at the Hacker Halted conference in Florida, he suffered from a massive stroke and has been in a coma in hospital since then. The guys over at Social-Engineer.org along with @humanhacker set up this donation for Brad’s family to assist with any out of pocket expenses that they have. SocialEngineer.org have a update page up and running with updates from Brad’s wife Nina, which can be found here.